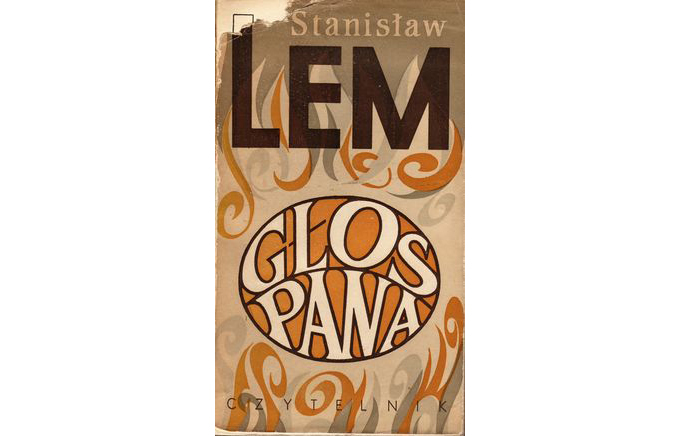 First edition of Stanisław Lem's Głos Pana (His Master's Voice), published by Czytelnik in 1968. Source: Wikipedia. When we do science, it is because we believe to succeed. To do so, we blind ourselves to the possibility of failure. This might sound surprising – isn’t it, after all, a requirement of good science to endlessly avoid to fool oneself, to relentlessly check for any weak point in experimental design or data interpretation? The countless failures that litter the ground where a single positive result stands – aren’t they the hard, unavoidable reality of research? Yes, indeed, but they are nothing but expedients implying that, if we try hard enough, if we are sufficiently rigorous, we will knock out our adversary. Nature might be subtle, but we can win the game. We are forced to assume that nature is, ultimately, intelligible. From the outside, it might certainly look like that – science marches forward, undefeatable. From the inside, my gut feeling has always been the opposite. Almost all my colleagues feel a degree of confidence and pride regarding their results. As for me, I’ve always been somehow ashamed of or baffled by any success. How could this experiment actually work? How can this be real? How can anyone trust this? My scientific endeavor has always looked to me like a house of cards, whose only merit was to resist some battery of banal experimental or statistical tests. The whole concoction could collapse at any moment, with a puff of fresh air. Indeed, it is often expected to do so: that’s the very nature of science, always growing by eating itself. From my early teenage years, I mostly saw science not as a happy matter of puzzle solving (I actually hate puzzles), but as a desperate titanic attempt, our hands grasping for an unfathomable, unreachable, inhuman depth. Each step forward being exhilarating not because it represents a happy mark on a paved road, but because it means that we stole another minute glimpse of an unconceivable abyss, like an ant-sized Prometheus. Many people who know me may accuse me of ‘scientism’, and they would be right in the sense that I know of no better method than science to gather factual knowledge about the universe. But this doesn’t mean that I believe science to be an endlessly powerful method, where just talent and patience will unavoidably reap benefits. It hit me like a train to discover, in my university years, that such pessimism was basically absent among other scientists and other science-minded fellows. Most of them are jolly, wholesome, naïve geeks who smile in their labs, trotting around as if they were playing a game. I’ve never felt comfortable with this mindset. It feels wrong, superficial, and ultimately like diluting the wonder of nature into mediocrity. That might explain why, in contrast with most other people of science, who tend to be almost endogamous, I have almost never had relationships with other scientists; and also why I cultivate only a few deep friendships with other scientists, namely the few melancholic minds baffled just like me by the sea they swim into. So it’s been refreshing to read, thanks to the generosity of one of the above mentioned fellows, Stanisław Lem’s His Master’s Voice. There are plenty of synopses online, forgive me if I write another myself: There is no real spoiler since the novel is explicit on the conclusion from the start – also, it does not have real plot twists, but it offers plenty of philosophical musings. His Master’s Voice was first translated into English by Michael Kandel in 1983. Here three editions in English language, from left to right: Martin Secker & Warburg Ltd, 1983; A Harvest/HBJ Book, 1984; Mandarin, 1990. A signal is received from the stars, in the form of an endlessly repeating pattern of neutrinos. A secret project, gathering the brightest scientific minds alive, is set up to decrypt it. The project ends as an underwhelming failure on all accounts – it is not even clear if the signal is actually a real artificial message, as first assumed, or a bizarre natural phenomenon. Everything that is painfully gathered from it raises more questions than it answers. The all too human idiosyncrasies and petty conflicts between the scientists of the project, described with dark and subtle irony, stand in stark contrast to the hopeless immensity of their task. His Master’s Voice is the exact opposite of American sci-fi novels such as Contact by Carl Sagan. There the message is clear, and we are able to decipher it. The extraterrestrial intelligence is superior and bewildering, yet we actually manage to establish a dialogue. Such naivety is a standard feature of English-language science fiction: it almost always looks like the communicating with an intelligence evolved in a completely different world is much easier than talking with a baker from a neighbouring country. His Master’s Voice, just like the more famous Solaris, is basically a confutation of this childish optimism: what is alien is really alien, beyond the realm of our understanding. Lem’s disgust for such tropes of classical sci-fi is legendary. In His Master’s Voice, one of the characters tries to read science fiction in a desperate attempt to get fresh ideas – and he is bitterly disappointed, hitting on platitudes where he hoped to find creativity. But enough with the history of science fiction. What is more interesting to me now is how much Lem’s novel is a metaphor of real scientific research. In physics, especially, things are turning darker. We know that the current picture of physical laws is unsatisfactory. We cannot unify gravity and quantum theory; we have no idea what dark matter is; we are baffled by constants of nature. And yet we are at a loss in finding any hint on how to proceed. Take the still painful diphoton débacle at the LHC as an example: The sobering disappearance of a putative new particle – one that could have been our ticket to new physics – into the random noise of statistical fluctuations has a lot in common with the recurrent tides of excitement and disappointment in His Master’s Voice. What looked intelligible is not; what looked like a process of discovery is just dust. Stanisław Lem in 1966, courtesy of his secretary, Wojciech Zemek. Source: Wikipedia. “Theorists in principle are immune to the constraints imposed by technology, but they face the challenge of dealing with the unprecedented collapse of decades of speculative work, and no help from the experiment on the question of where to turn to for new ideas. The sociological structure of the field is ill-equipped to handle this situation. Already we have seen a turn away from confronting difficult problems and towards promoting fatalistic arguments that nothing can be done. Arguments are being made that because of random fluctuations, we live in a corner of a “multiverse” of possibilities, with no hope of ever answering some basic questions about why things are the way they are. Woit and other non-mainstream theorists are highly skeptical of current theoretical attempts at moving forward, such as string theory, for several reasons. One of them is their apparent impossibility to be falsified/verified, at least with current technology – a nightmare we could be approaching now. The other however is a philosophical itch. In certain cases, string theory cosmologies seem to imply that there is no ‘natural’ explanation for many features of our universe. According to the string landscape scenario, we live in one of a virtually infinite variety of universes: ours is as it is not because of any foundational principle, but simply because universes that contain observers must fulfill special properties (e.g. they must allow stars to last billions of years to allow for evolution of these observers, they must contain carbon atoms, and so on). This is an example of what is called anthropic reasoning. To me, the accidental universe idea is scientifically meaningless because it explains nothing and predicts nothing. […] In order to explain the one simple universe we can see, the inflationary multiverse and accidental universe hypotheses posit an infinite variety of universes with arbitrary amounts of complexity that we cannot see. Variations on the accidental universe, such as those employing the anthropic principle, do nothing to help the situation. Such positions, alas, ask the universe to bow to our philosophical imperatives. There is no reason whatsoever for reality to be described by “simple, explanatory, predictive” scientific ideas. The string landscape, or an equivalent anthropic state of things, could be absolutely real, and there would be nothing Steinhardt could do about it but yell at the sky. M-theory is frequently used instead of non-perturbative string theory. However, both notions are programmatic, as the underlying dynamical principle and, closely related to this, the symmetries of string theory have not yet been found. It would thus be more appropriate to speak about a ‘theory under construction’; nevertheless, following common usage, we will always speak of string theory or M-theory, the latter being understood as the working title for the non-perturbative completion of string theory. We are really close to what Lem described in His Master’s Voice, decades before string theory became the talk of the town in physics. There is no overarching theory, but rather a hodge-podge of rules and models; some of them give startlingly promising results that however end up leaving us even more unsatisfied (for example, unifying gravity with quantum mechanics requires bizarre space-times hard to reconcile with our own). In His Master’s Voice, a parallel is provided: A small part of the putative message from space seems to have a clear interpretation in terms of a chemical compound. The chemical is synthesized and feverishly researched – given its gooey appearance, it is nicknamed ‘Frog Eggs’. The Frog Eggs have startling properties and lead to the discovery of interesting phenomena: but after a flurry of initial excitement, all progress stops. The study of the Frog Eggs neither leads to a further understanding of the message nor to any really significant scientific breakthrough. It is a dead end, and perhaps a curious accident caused by a fundamental misunderstanding – basically the result of an internally consistent but false interpretation. To understand what such a misunderstanding could be, imagine a civilization of deaf aliens finding a recording of Mozart’s music in the form of a compact disc. Having no musical notion, the aliens decode the CD as if it encoded images – and they find out a simple algorithm by which it generates startling, colourful images, with definite patterns and regularities. They would think they had ‘interpreted’ the recording, and with good reason, not knowing any better. Meeting with us, the aliens would show us the Mozart’s ‘paintings’, leaving us utterly baffled. The aliens were missing an external context. It is hard to define what an external context means in the case of physics, but it is surely conceivable – if not unavoidable – that what we see as physics in the regime of observable phenomena is just an emergent manifestation of an extremely deep, hidden structure. Lacking any possibility of probing such a deeper, vast structure, we are left to connecting the dots we see. We have two remarkably consistent interpretations of two ‘islands’ emerging from this sea: one is general relativity, the other the Standard Model of quantum mechanics. But any attempt at connecting the two islands might be as doomed as trying to map what Europe looks like just by having a guide of Moscow on one side and one of Lisbon on the other. 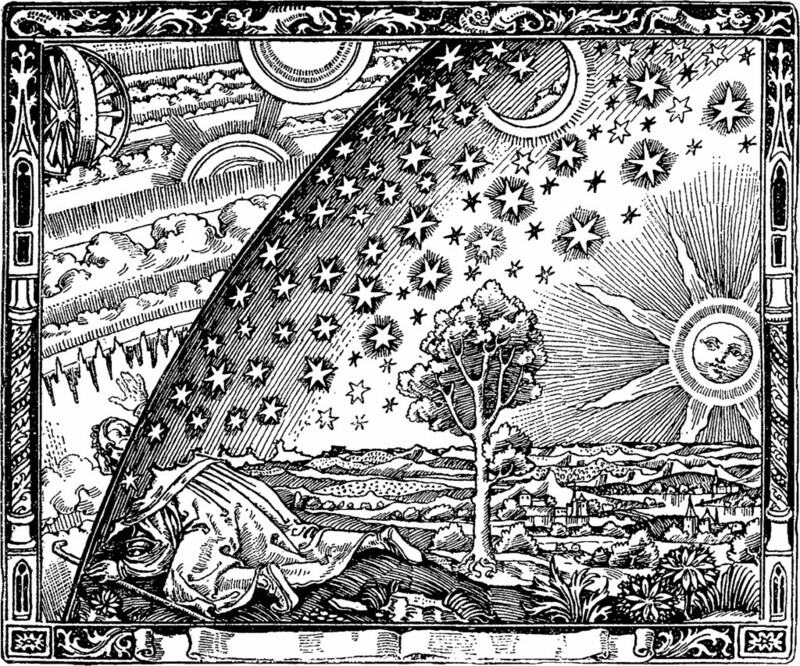 The notorious ‘Flammarion engraving’ – a wood engraving by an unknown artist that first appeared in Camille Flammarion’s L’atmosphère: météorologie populaire (1888). Source: Wikipedia. Of course this is only a possibility out of many – it is also plausible that we will crack what’s behind the Standard Model and general relativity, and find a new, overarching theory of nature. Yet our next theory will probably not be the final word on the issue and will leave further questions open. Every step risks being the last we can take. What will we do then? I have no real idea if we are reaching the end of science as John Horgan famously argued in 1996. What looks very real however is that science might be both finite and incomplete. There could be a moment, be it tomorrow or in the next millennia, where every significant scientific question will be either answered or unanswerable. Our descendants could find themselves on the top of a shining intellectual mountain, only to gaze at a forever unreachable, incomprehensible sky.